The base model mattress from Breasleys sought after Postureform collection with innovative reflex foam compositions, the Postform Deluxe mattress is a consistent best seller due to its price and quality. Breasley are a manufacture that demonstrate the potential that scientific technologies can play in mattress development and specialise in memory foam mattresses with either pocket sprung or reflex foam supports. The great thing about these mattress types is that they can be safely rolled without damaging the internal springs and are sold as vacuum packed rolled mattresses for convenience. Postureform achieves exactly what it set out to do, provide affordable mattresses that encourage natural postures through the use of CMR 34 F reflex foam. The foam of Postureform can compress to absorb parts of the body such as the hips and shoulders to allow side sleepers to maintain a straight spine as they sleep and provide an overall feeling of weightlessness through even support offered to the entire body. The reflex foam provide a medium rated support while there is also a firm support option available known as the Breasley Postureform Deluxe Ortho mattress. With Breasley Postureform mattresses being composed of man-made materials, they’re remarkably dust mite resistant and are rated as hypoallergenic making them suitable for asthma sufferers. Because of this, it’s strongly recommended you choose a hypoallergenic mattress for a guest room or rental property as asthma is a common condition amongst people and can be serious. 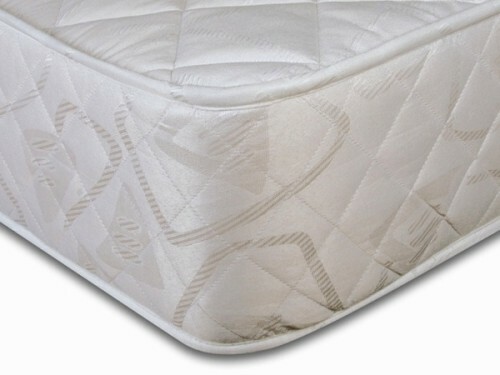 You’re covered by Breasley’s 5 year warranty on this mattress review and the zipped damask cover is easy to clean to keep your mattress feeling new. Type: Hypoallergenic, Orthopaedic, Reflex Foam, Medium. 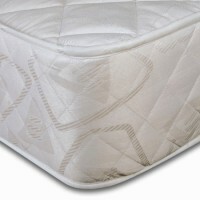 Be the first to review “Breasley Postureform Deluxe Mattress Reviews” Click here to cancel reply.